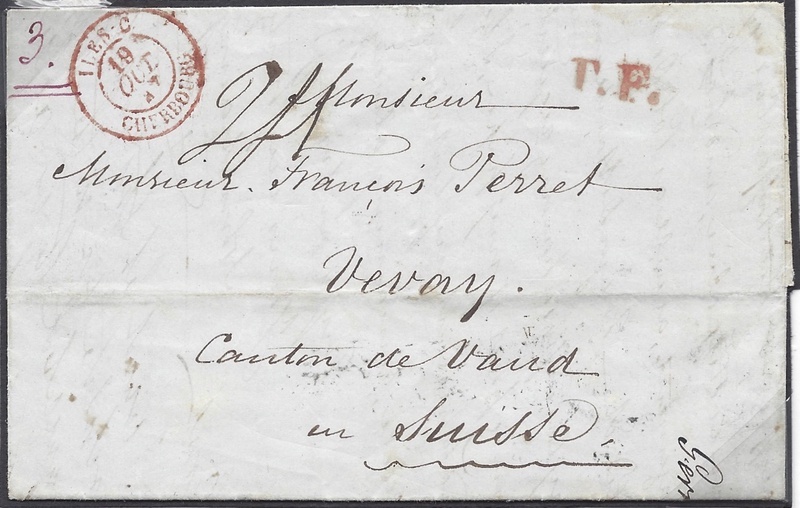 ...Postage Due 24 Swiss Decimes divided equally between France and Switzerland. ILES-C/CHERBOURG, CF36 - VERY RARE, THOUGHT TO BE ONE OF TWO RECORDED EXAMPLES. Ex Moorcroft and Jay.